A Full home renovations Toronto is a process of doing some additions to a home or renovating it. This process aims at upgrading a home interior that is already set such as plumbing and electrical, Home exterior and this includes roofing, masonry, siding and other-other different improvement to the property. In another term, home renovation means making your home new again by carrying several changes to your property. We can refer Home renovation using simple terms like building projects that bring changes to a structure of an existing home. This can also include renovating lawns, garage, and gazebos. It also includes repair, maintenance and other servicing tasks that may be needed. Are you a Toronto based homeowner and you are looking for a company to help in renovating your home? Don’t struggle anymore because Cap-Able Group is here to lender these Full home renovation services. We Cap-Able Group, we have been helping many homeowners around Toronto for over 10 years since when we started our operations in 2006. Our employees are the most skilled and experienced experts around the city. In order to have the better result, we use computer-aided software and the most state of the art 3D modeling. We are professional contractors who have been in the renovation industry for many years and that makes our experience unquestionable. 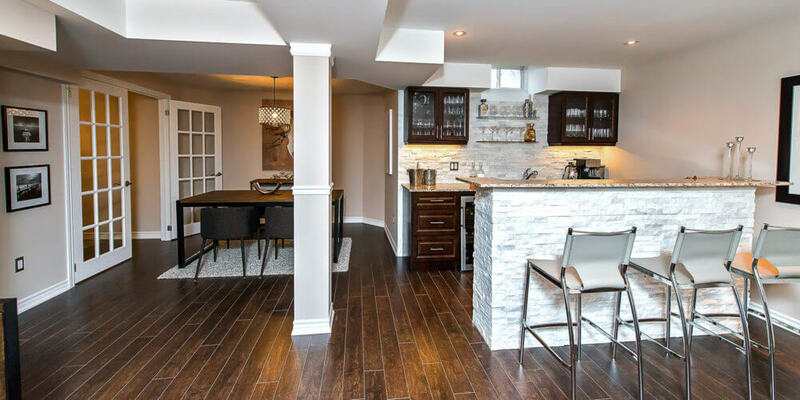 We are the builders in Toronto who have specialized credentials, experience and licensing and insurance to carry out any renovation services in any homestead. We at Cap-Able Group we can handle full home renovation. Some of the things we can do to your home include; bathroom improvement, kitchen renovation, Basement remodeling, repairing or installing of entertainment systems, renovating your gym area and more renovating your living room. We can offer great services to your home all you need is to contact us so that we can have an extensive discussion about your needs. Let look at some of the important renovations that we carry in your home for you to have a deeper understanding. In case you are not satisfied with how your kitchen looks, it is the right time to think about renovating it. Why you need a kitchen renovation? is the first question that should come to your mind when you are begging this process. The reasons why you need kitchen renovation may include; nonappealing looks, lack of enough space, lack of good storage facilities and also reduced functionality. It is important to exactly know the design you want so that it will be possible for contractors to come out what you really needed. There are several options you can have when it comes to kitchen renovation. We have pull and replace where the designer replaces everything with new items which include cabinets, appliances and many other. Cosmetic makeover where the designer makes small changes in the kitchen that can bring a dramatic change in the look. Custom renovation where you bring down the entire wall to either adds space. At Cap-Able Group we have other trends that we can add to your kitchen to make it more appealing. Putting into consideration all the renovations that a person can do to a homestead, bathroom renovation is amongst the best. This renovation can give you more bang for the buck more than other renovations.It also brings additional comfort and enjoyment to everyone in the home. There are several factors on can consider while starting the project of bathroom renovation; The size of your bathroom is the first and the crucial thing to consider because it determines the things that you will put inside the bathroom. The color to apply in your bathroom is another crucial factor. This determines them and the look of your bathroom. Consult the family and the contractor about their opinion on the things you want your bathroom to have. They will help you to decide the better things you can use to give your bathroom a nice look. There are different ideas that can give your bathroom an exceptional look; vintage theme, girly theme, sporty theme, rockstar them and the modern approach. Understand what you want so that you can have a better bathroom for your home. The basement in different homes are mostly left cluttered with boxes, cobwebs and also there may be other features like plumbing and wiring that are left exposed. The basement has great potential to add more space to a home. When renovated, a basement can add value to your home by either turning it into a bedroom, an office, and a family room. 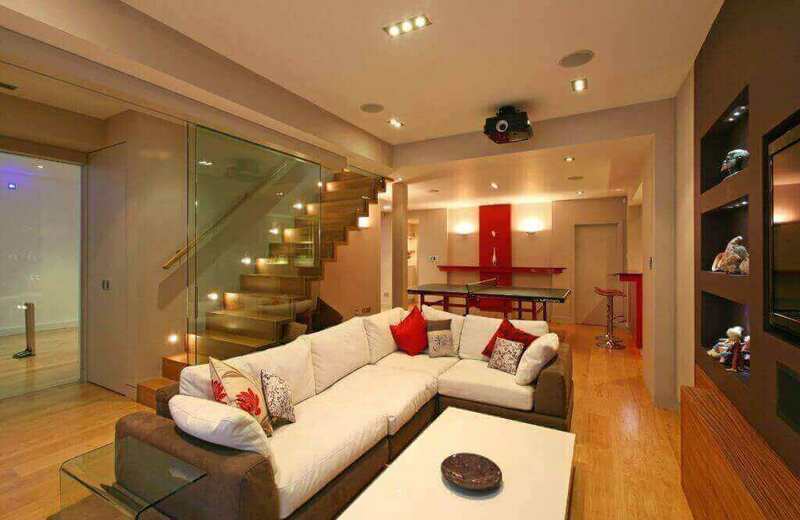 Before you start your basement renovation you should have a clear plan for what you intend to do.You will probably want to consider how to renovate the ceiling, lighting, and flooring once you have chosen a purpose for the room. Basement renovation is important in your home and should be a priority. A company that is licensed means that it is well known and professional. You are guaranteed that the company can be able to provide services that are efficient and cost-effective. A company that has stayed in the market for a long time guarantees good work because they have experience in whatever they are doing. You can ask or read reviews from different clients about the services they received from a certain company. This enables you to know more about their professionalism. Make sure you go for a company that can provide you with full home renovation services. This will help you to avoid going to different companies which may be expensive and difficult. What include in home renovation costs? There different things that are included in the quotation for your home renovation; Drawings and design, labor and management, Recycling and demolition, Rough Construction materials, Finishing materials, Inspections and permits which may cost up to $3000 and without forgetting the cleanups. What are the benefits of home renovations? Home renovation is a profitable decision you can choose because it adds value to your property. Renovations improve the size, style layout and the design of your home hence leading to value addition of the overall property. The cost of repairing a home increases if maintenance is ignored or postponed too long. Starting a renovation process when problems start appearing will often save you from spending more. Home renovation can make you achieve a lifestyle that you prefer. This may be facilitated by either the need to have a more spacious home for your family or a certain look you want to add to your home. There are different mistakes that may arise in Home renovation if not done by a contractor. These include; wrong measurements, ordering of fewer materials, unrealistic budgets, not thinking of safety, not equipped with current home styles, extra costs to acquire permits and many other. What home renovations and improvements to do before selling? Not all renovating projects can bring instant resale improvement. Those looking to purchase a home mostly look at the kitchen and bath. Also adding a master suite or a family room will definitely increase the resale value of your home. People tend to love bigger houses. Consider renovating this area if you are thinking of selling your home. Does invest in smart home renovation pays back? A full home renovation is worth the effort because the value of the property appreciates immediately you are through with the project. Consider updating your kitchen, baths, exterior and bonus update and believe it or not your resale value will improve. What can go wrong with home additions if hired the wrong contractor? Choosing the wrong contractor leads to bad and negative results. In case they are not competent in their work, it means they will not execute your plans and this may lead to negative experience. With the right company, you will have your home renovated in the right way hence enabling you and your family to enjoy your home. To experience better Full home renovations Toronto, Contact Capable Group and all your needs will be catered for. You can reach us any time of the day and we will be more than happy to share with you any information about the services we can offer to your home. Call us now and our experts will respond immediately.